Heading out to catch some early morning waves in Monterey, Todd Endris never expected that his life would be forever changed. What started as a calm and beautiful morning of surfing, quickly turned into a bloody and shredded mess. 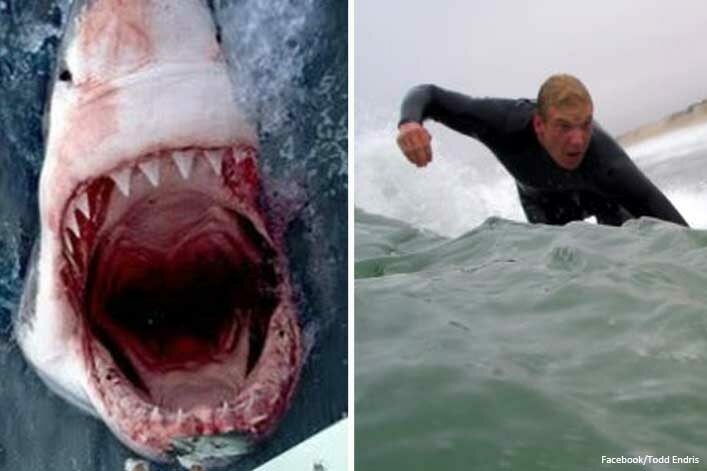 Todd and his friend had been surfing for about 45 minutes when a 12-foot-long great white shark snuck up and attacked the then-23-year-old. That’s when God sent the most unlikely resources to save him: bottlenose dolphins. Out of nowhere, a pod of dolphins swam up and built a wall between Todd and the shark, scaring the beast away. Safe from the shark, Todd remained bleeding profusely way out in the ocean. There was no feasible way for him to make it back to the shore. That is—until one great powerful wave miraculously carried him all the way back to the beach. “Like it was sent from God, a wave came that was just a perfect little wave that was breaking right where we were,” said Todd. He says he remembers everything on the sand just being “bright red.” His friends encouraged him while waiting for an ambulance, but admit they didn’t believe he was going to make it. By the grace of God, Todd survived. 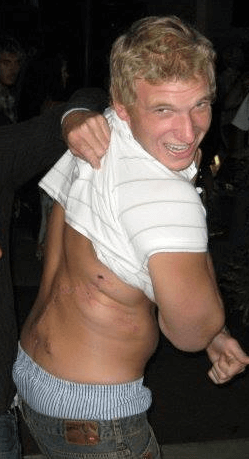 He made it to the hospital where he received 500 stitches and 200 staples across his back and side. He lived from that moment on, forever being known as Shark Boy. Todd knows that those dolphins were divinely put there at the right time to save his life. He also believes the wave was strategically sent by God, and he wouldn’t have survived if it weren’t for both of those miracles lining up that morning.